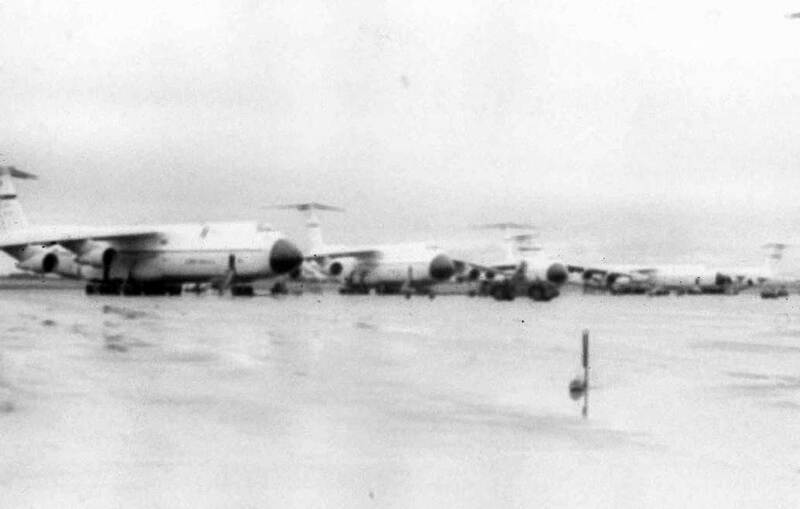 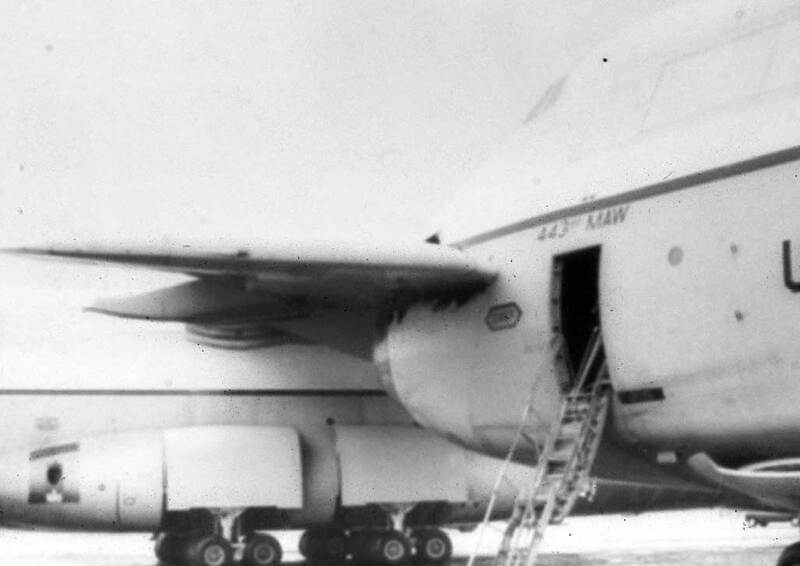 Most Crew Members who ever flew the C-141 spent time at Altus. 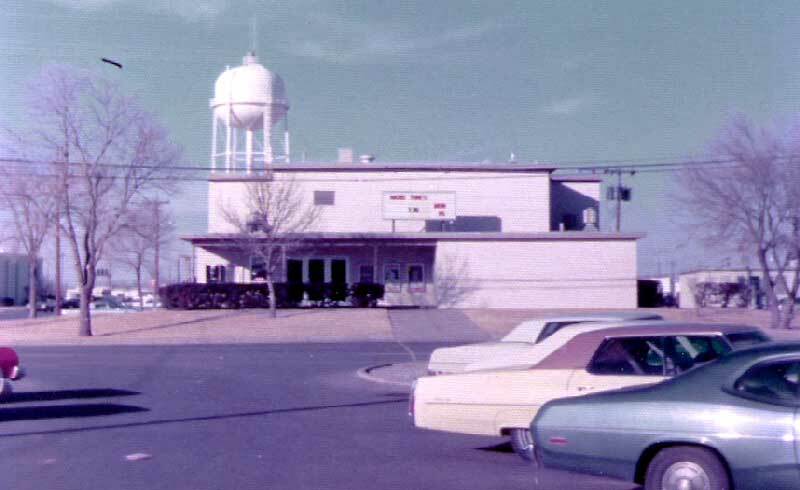 Here's some photos to bring back some memories for you. 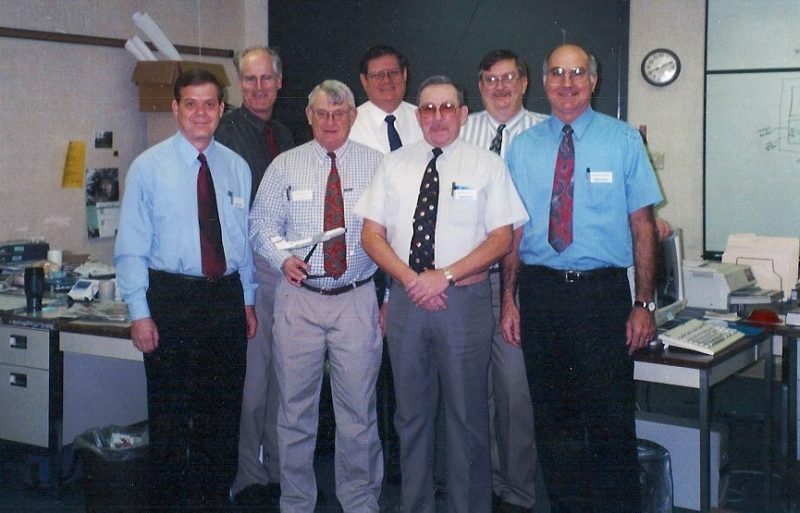 Photo Copyright: Sylvia Young who was in scheduling. 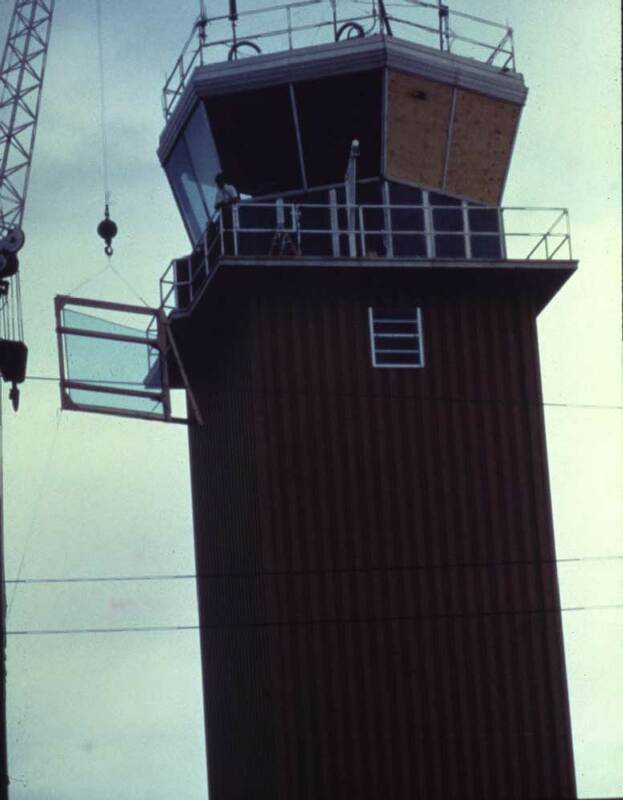 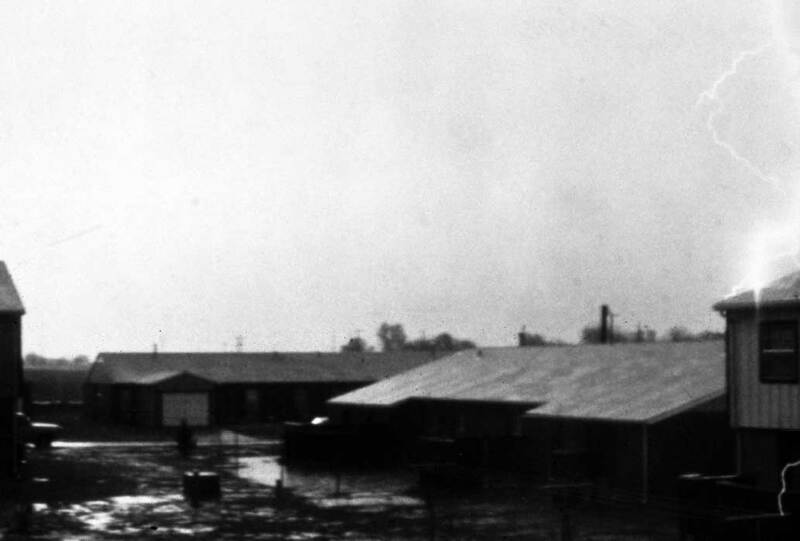 (the 57th was in building 444 before the move to the one in the photograph). 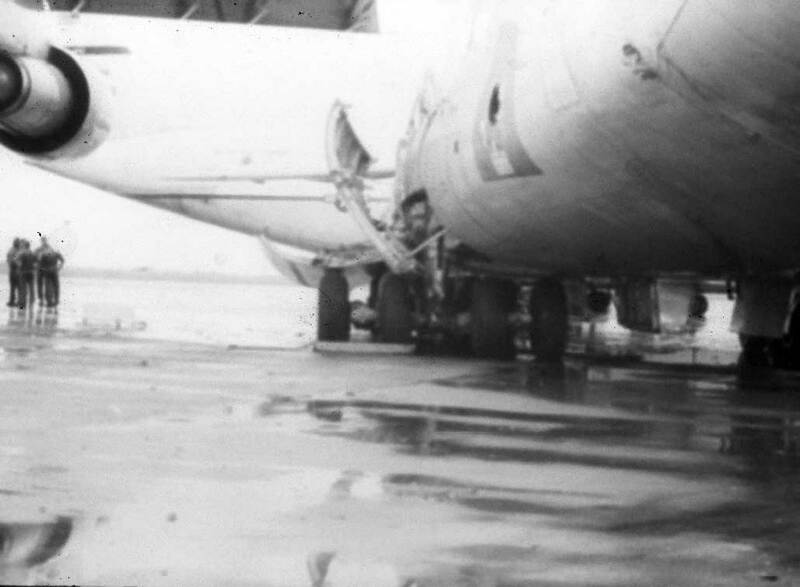 Bill Weeper is standing where everyone used to put their bags before and after flying. 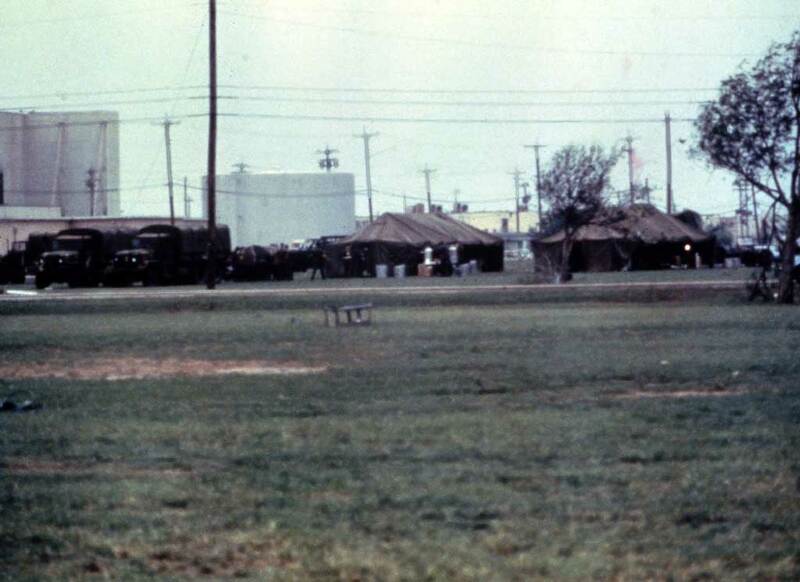 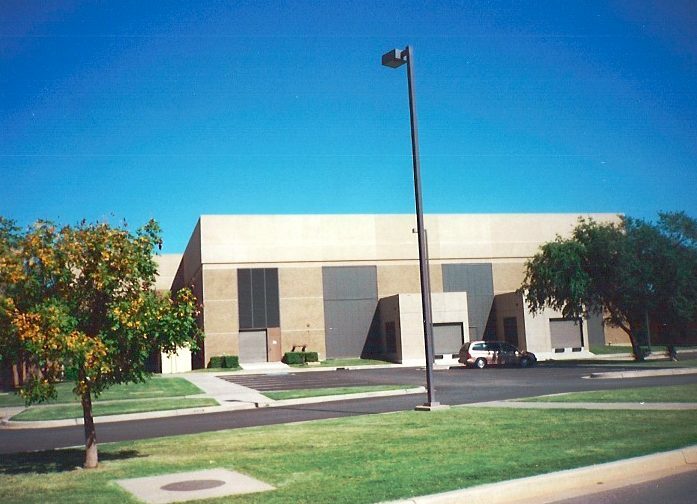 to the left of the building (not visible) is where the 56th and 58th Airlift Squadron are located. 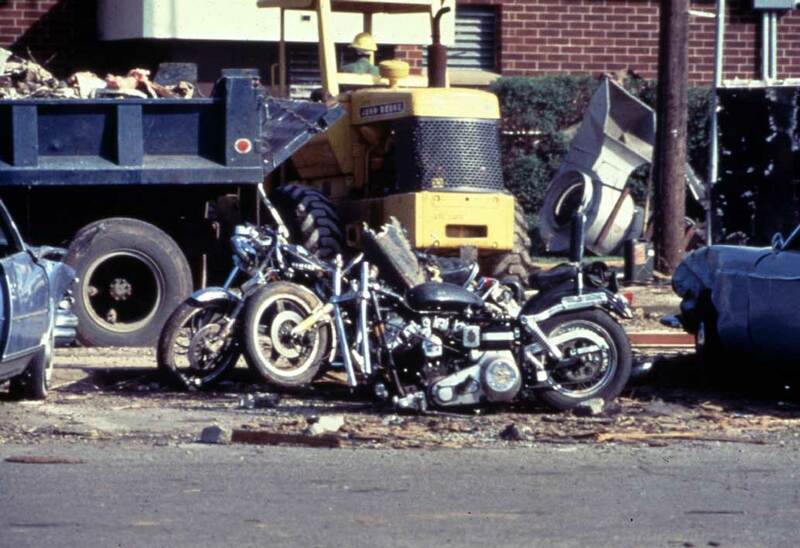 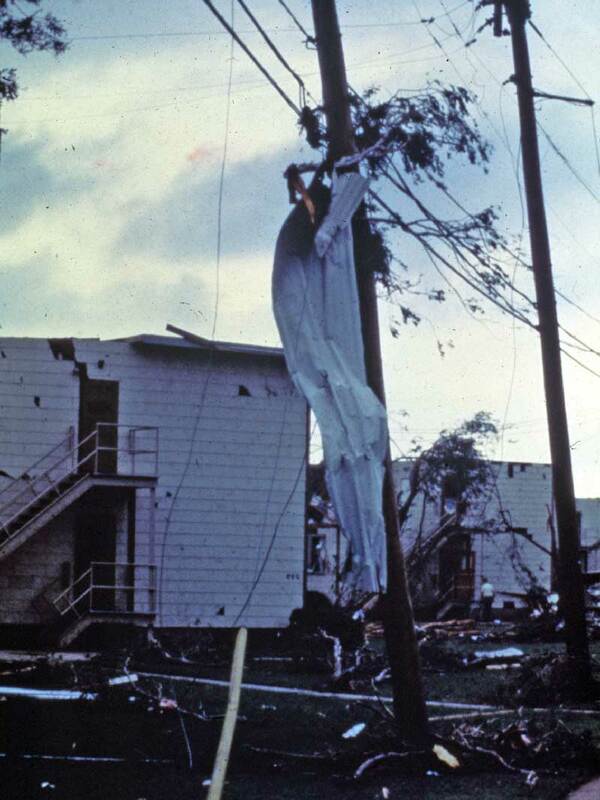 These two photos were submitted by Bill Watkins. 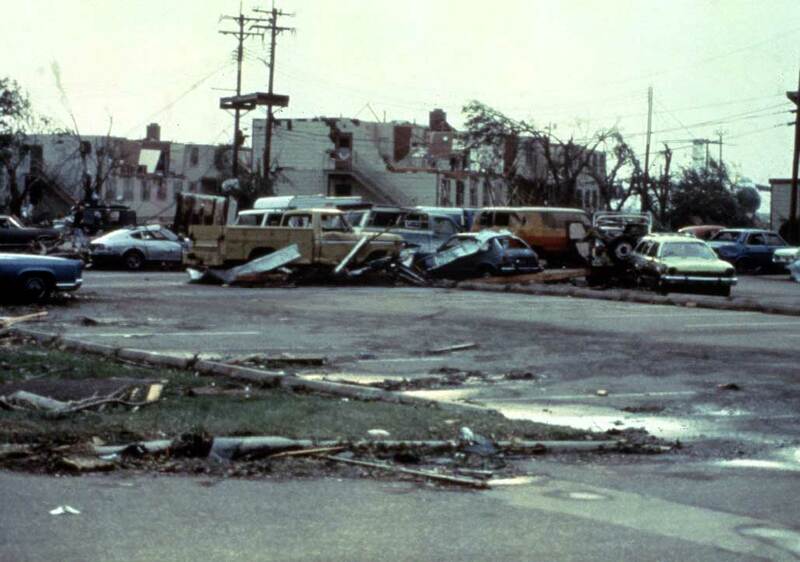 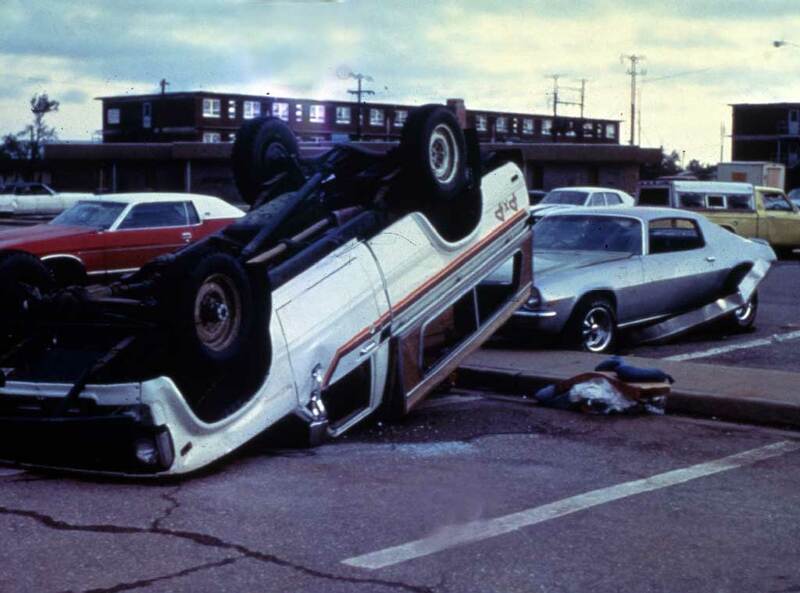 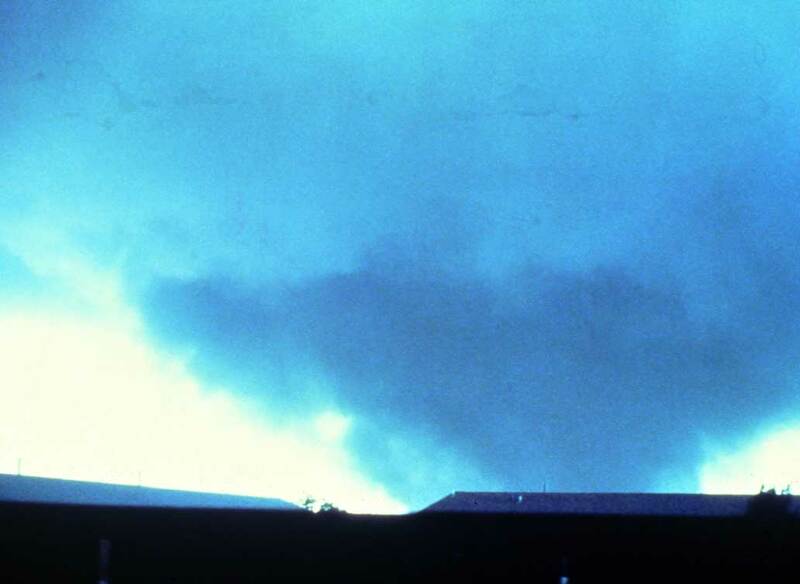 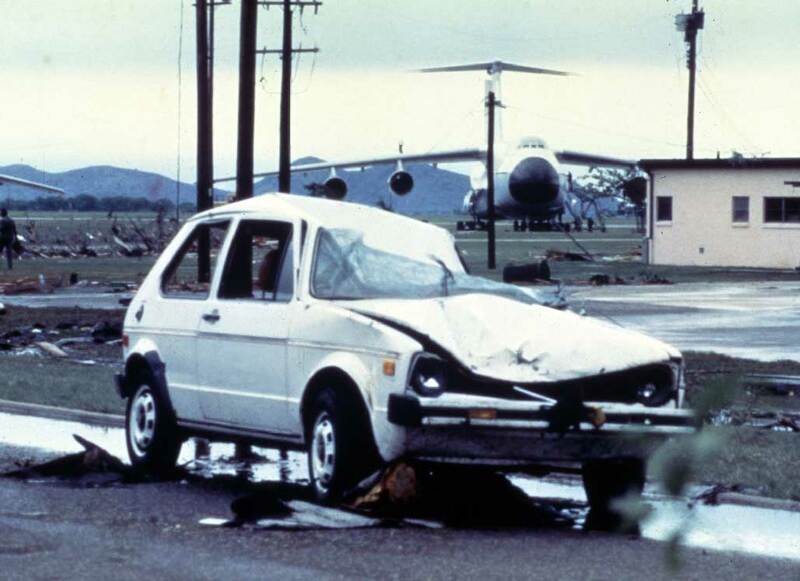 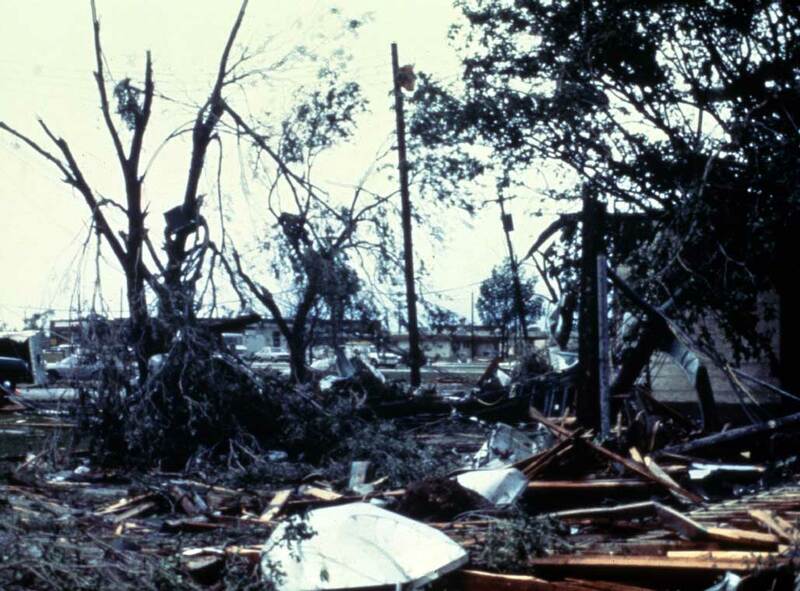 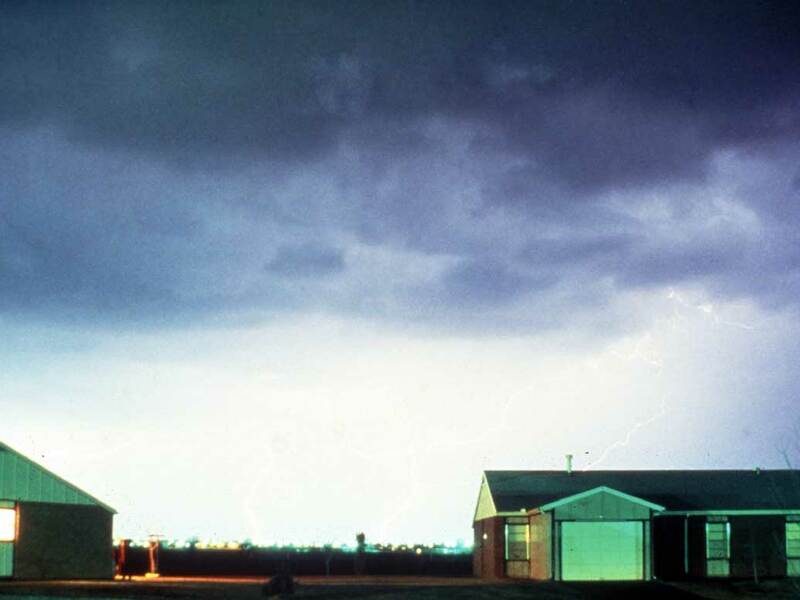 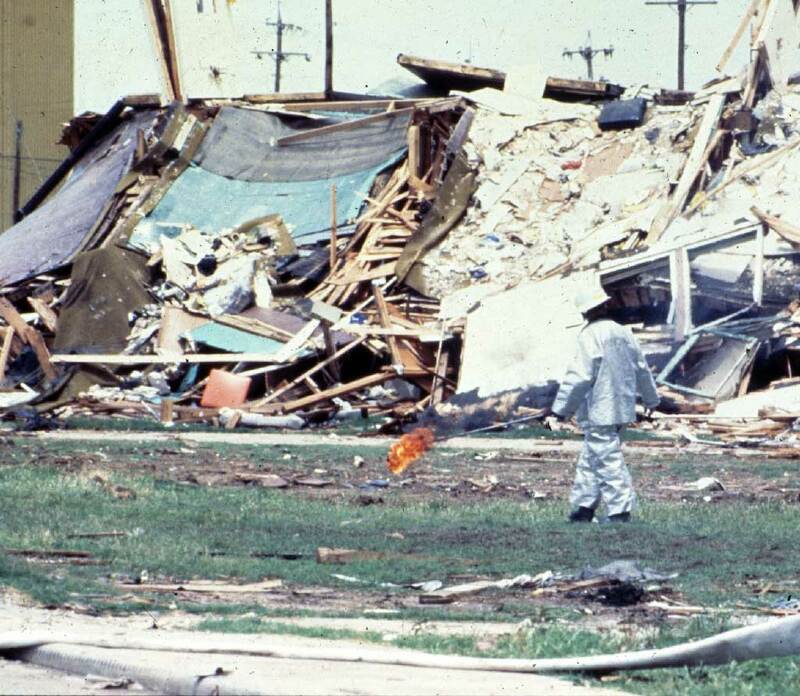 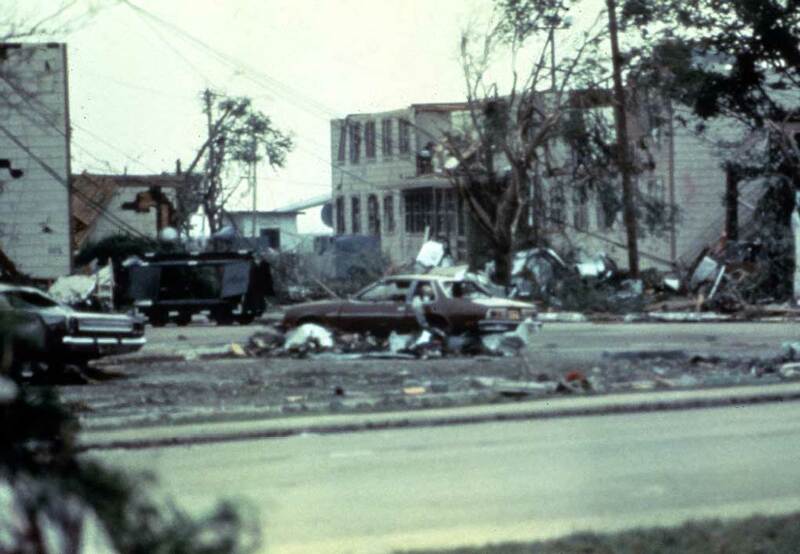 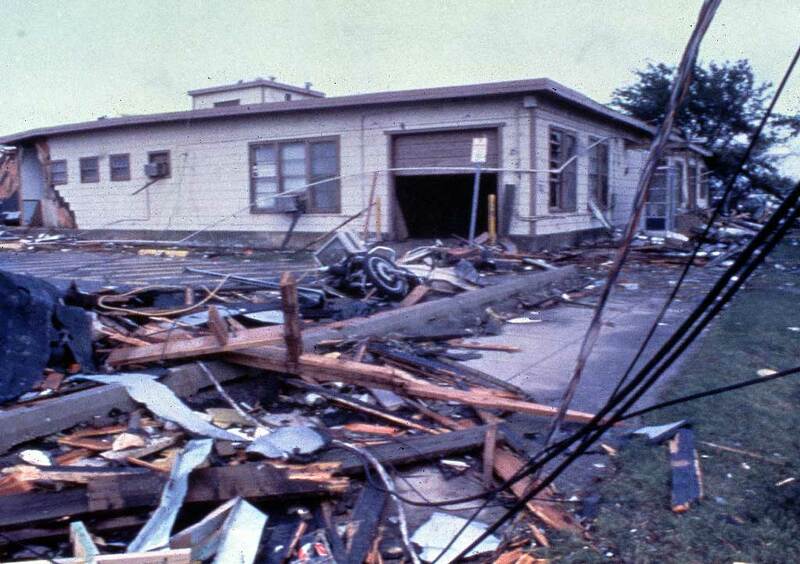 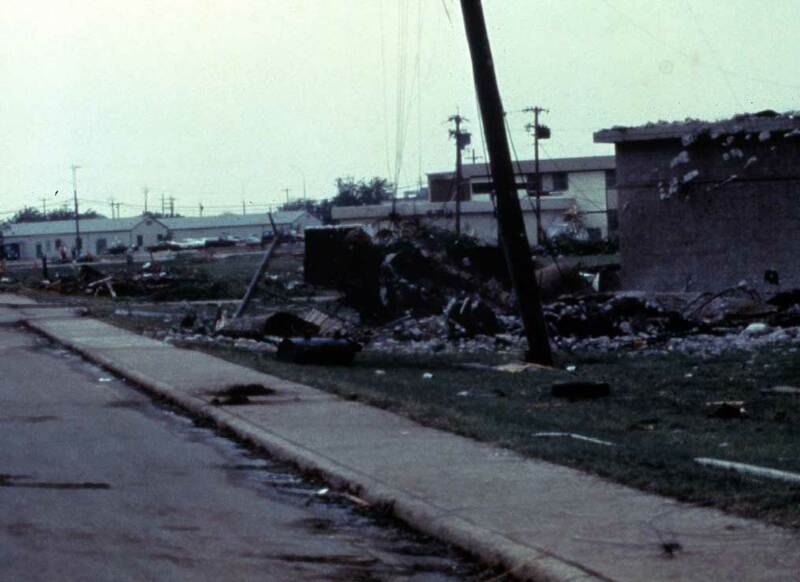 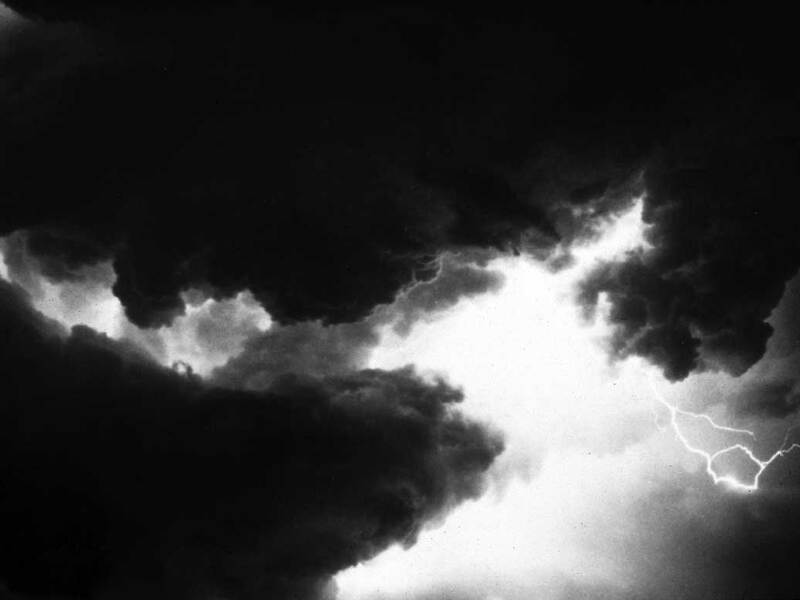 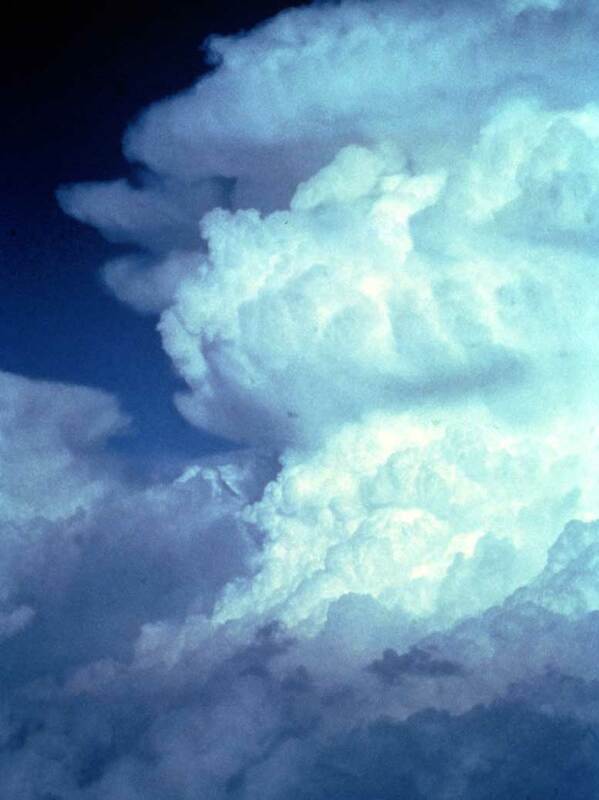 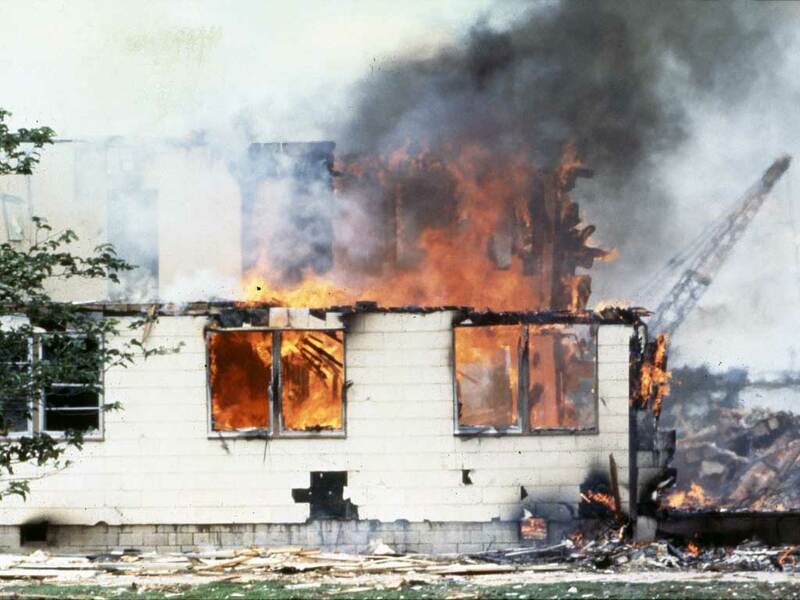 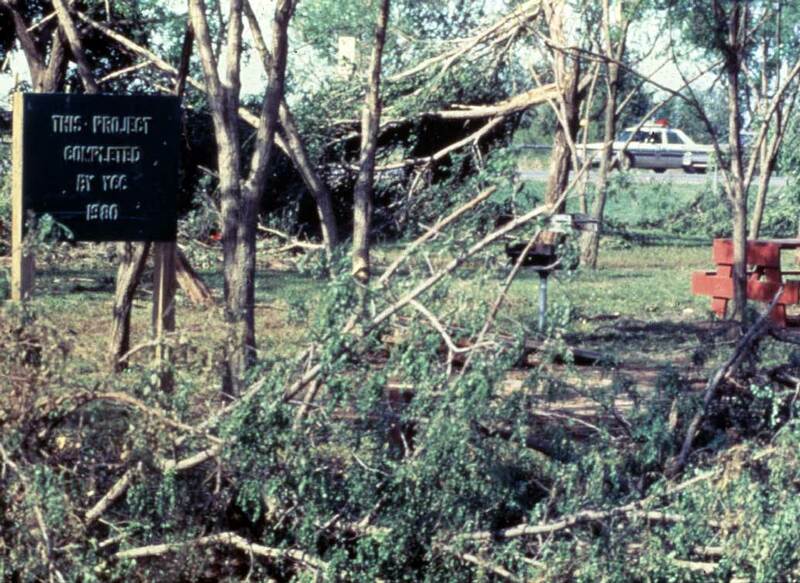 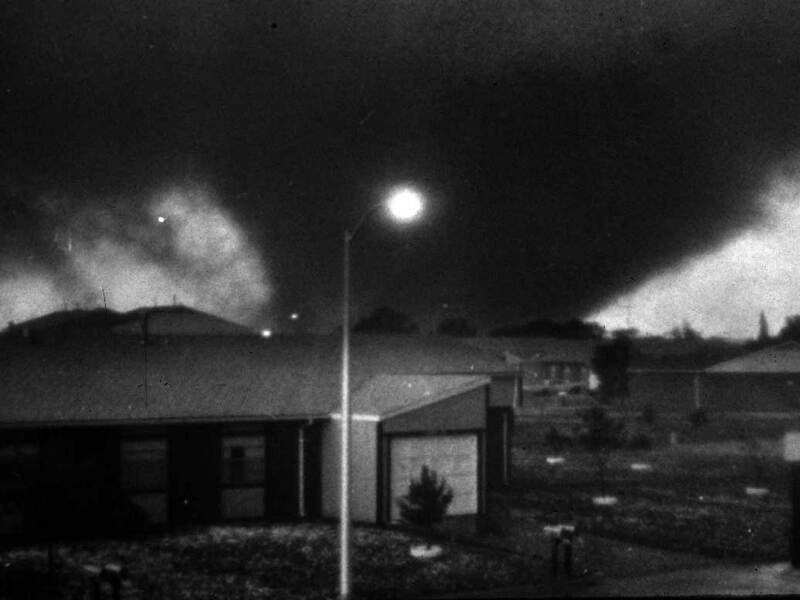 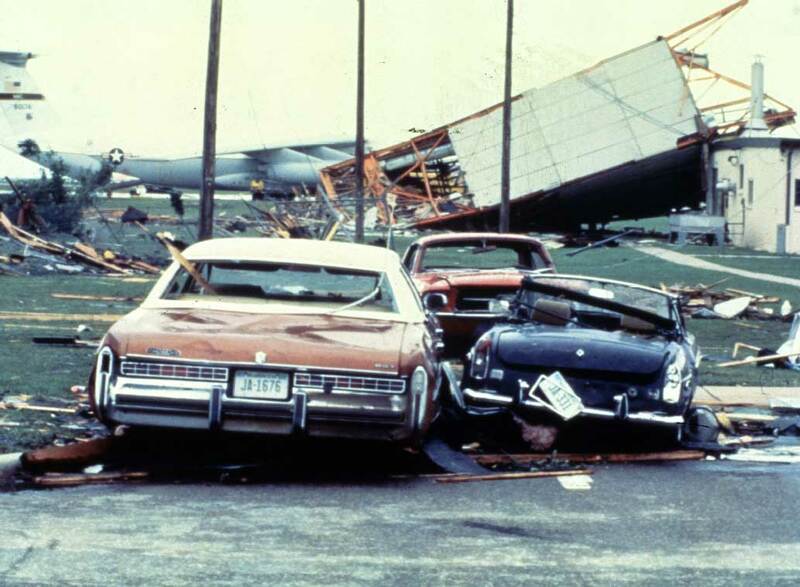 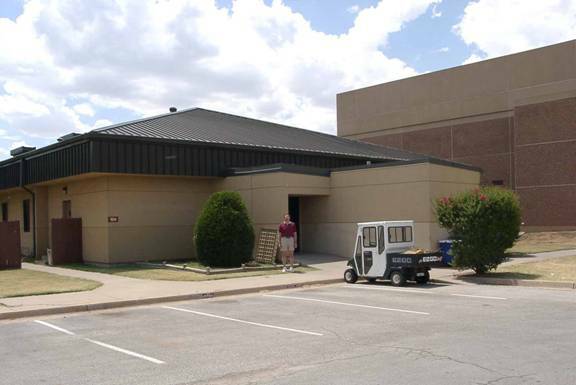 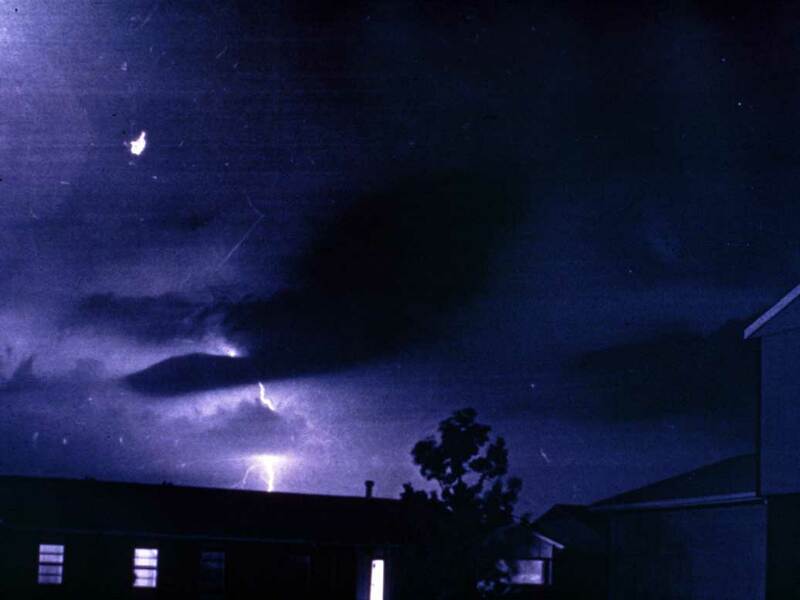 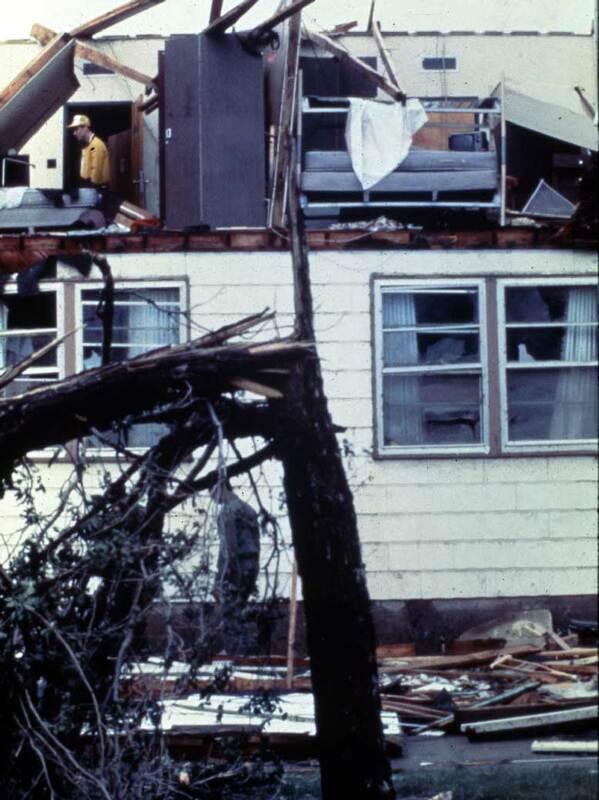 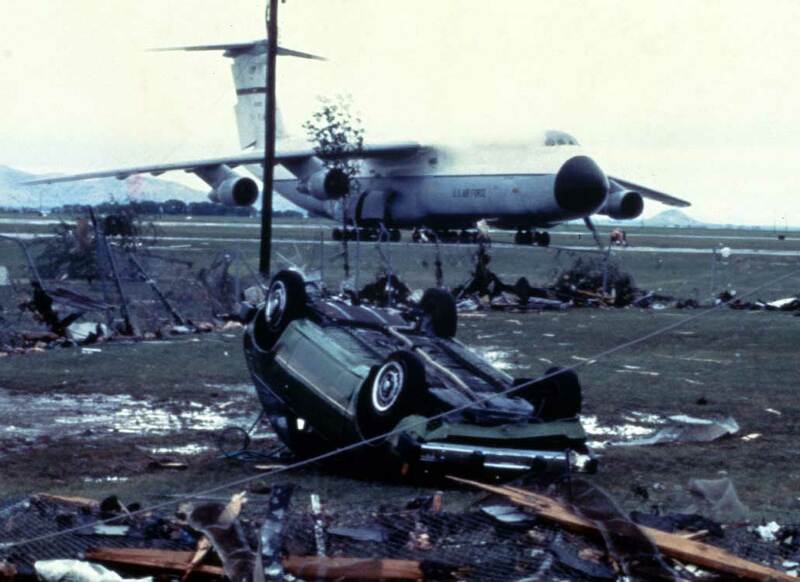 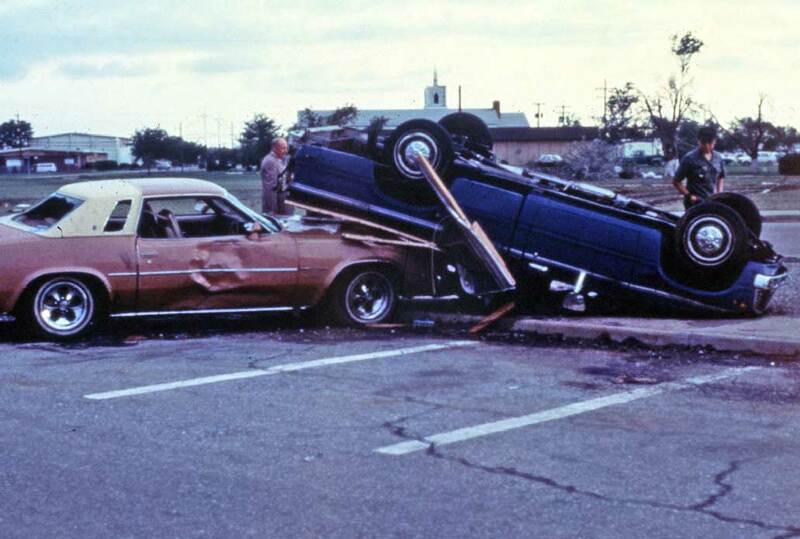 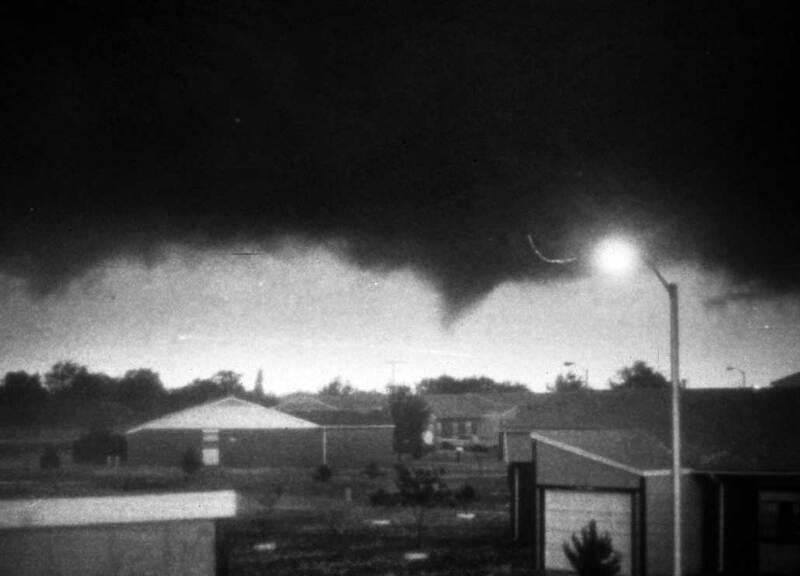 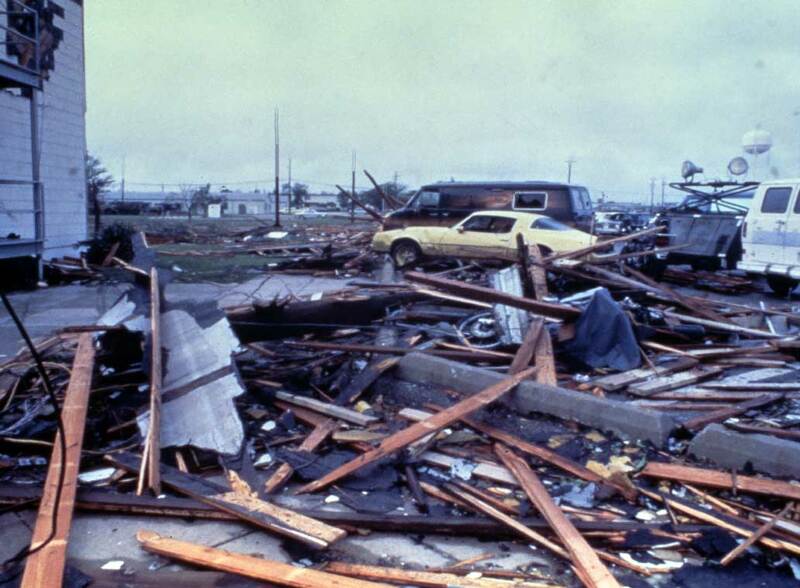 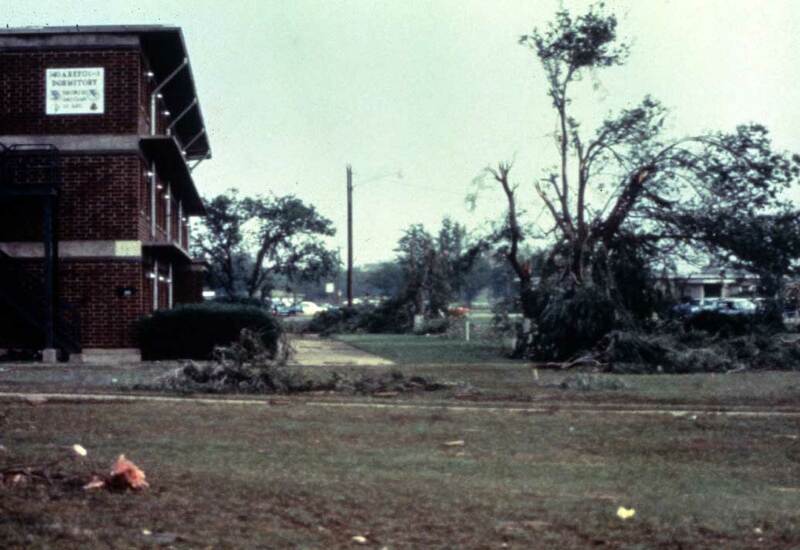 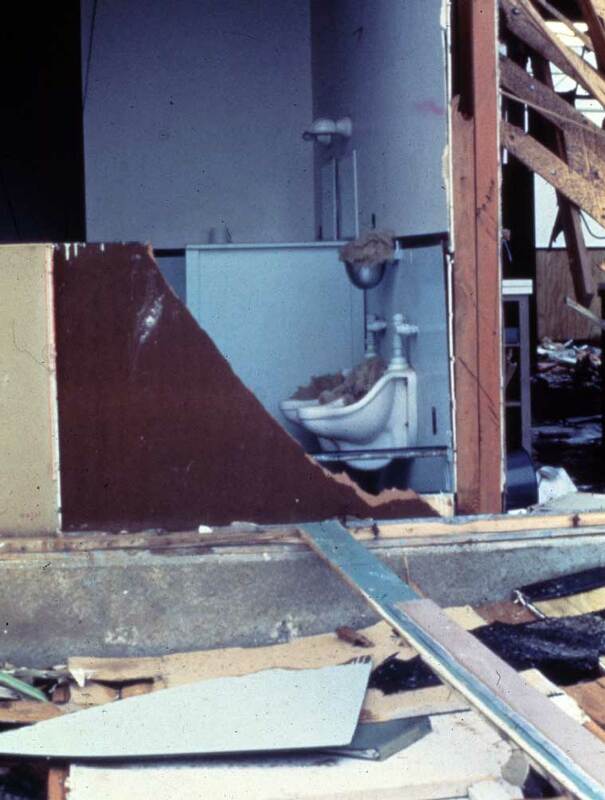 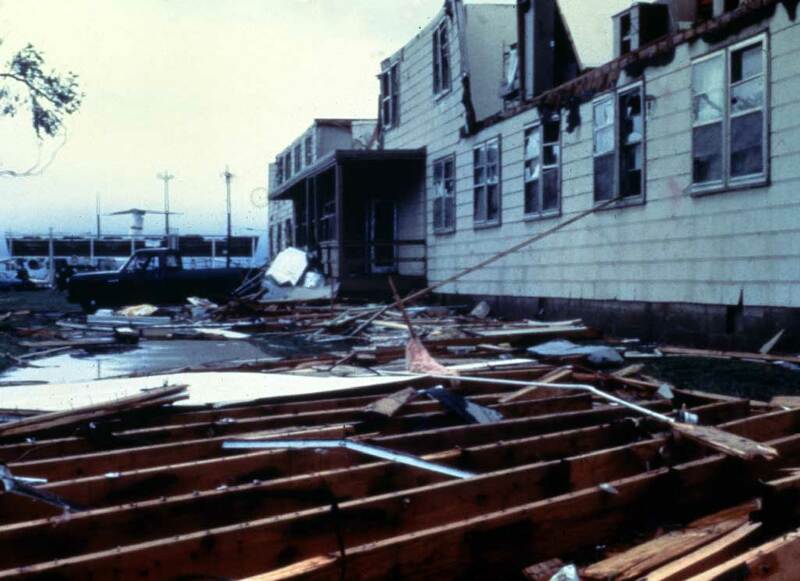 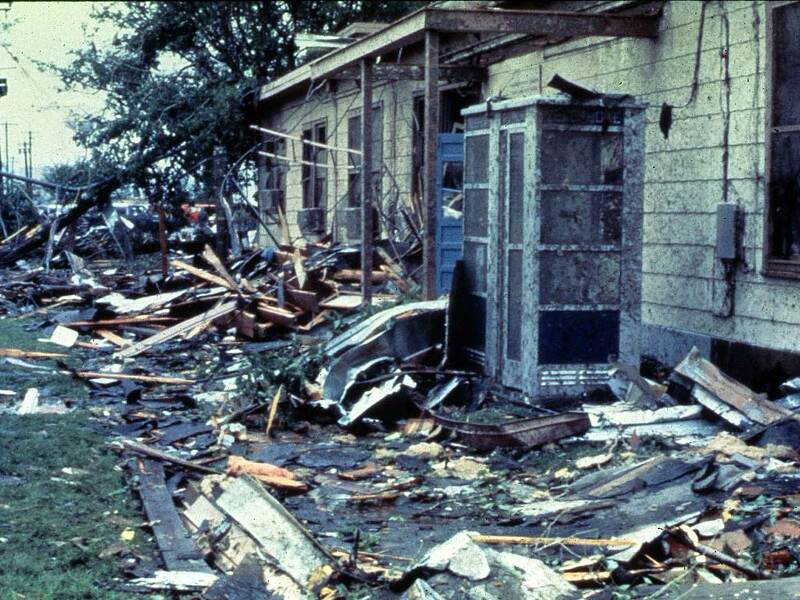 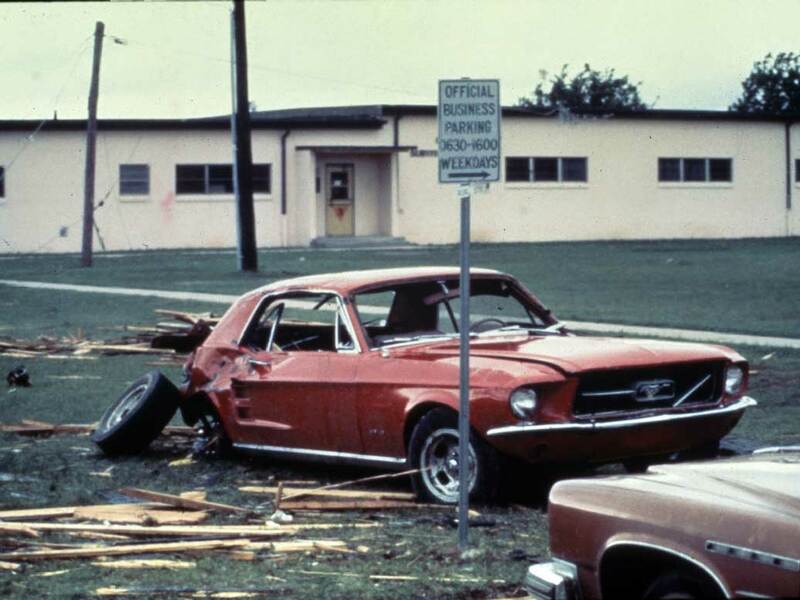 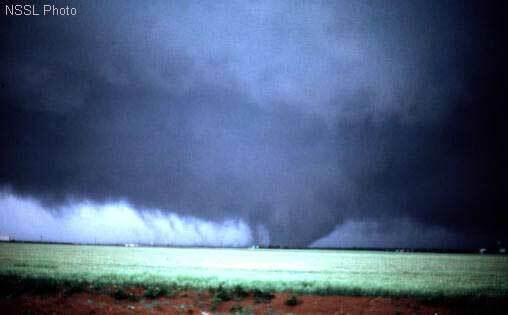 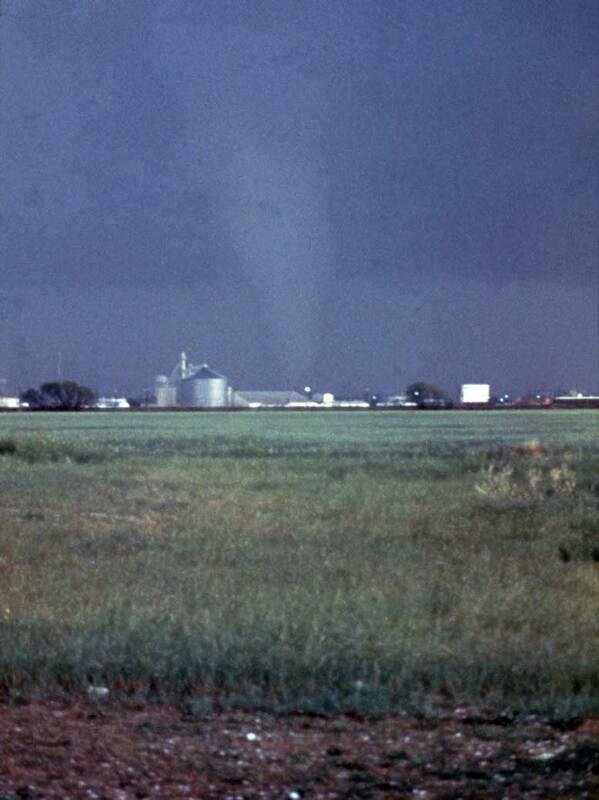 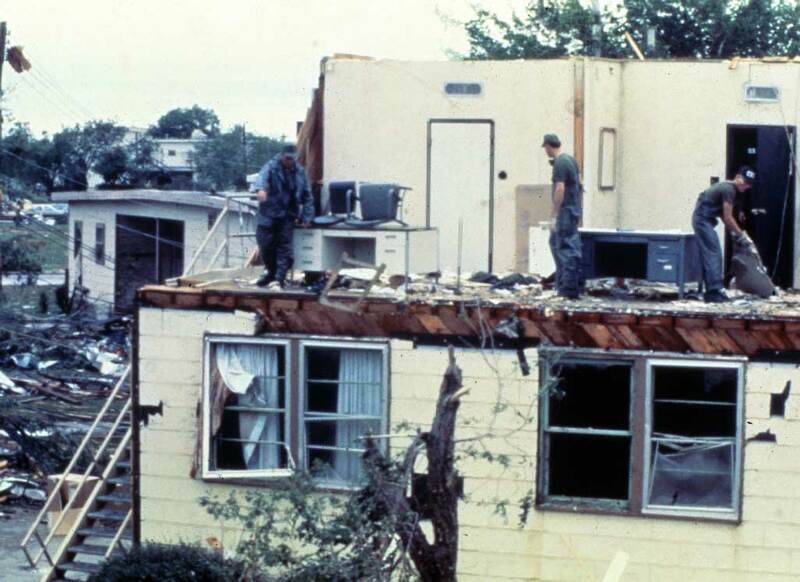 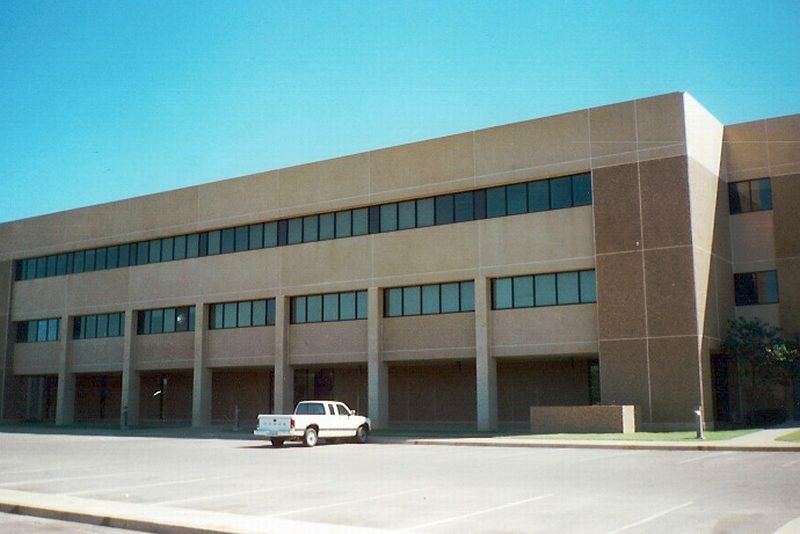 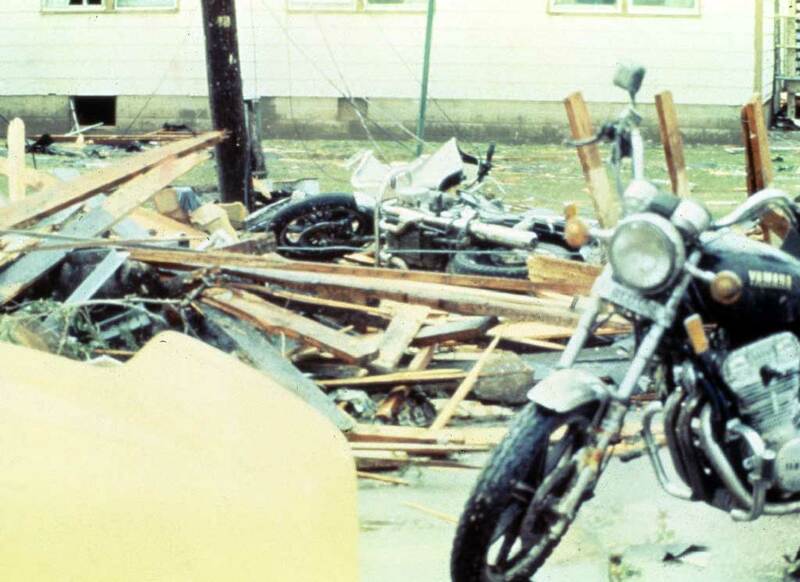 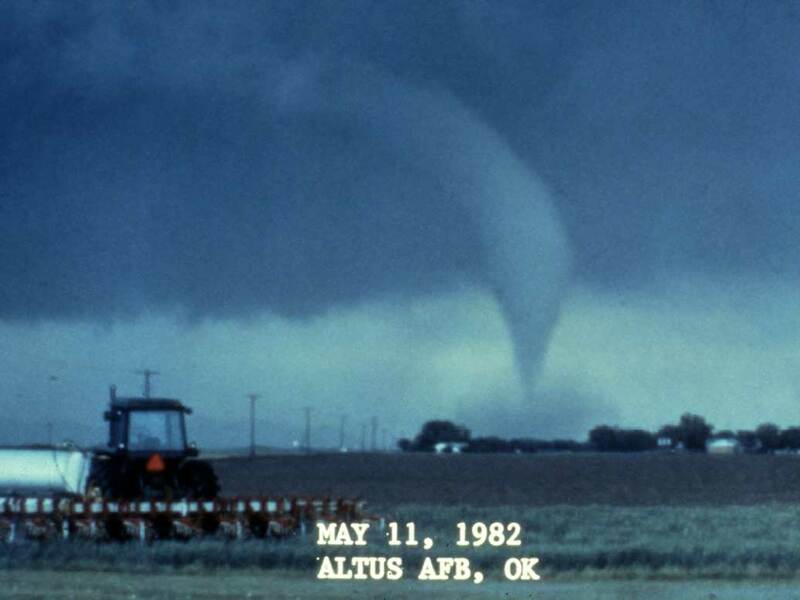 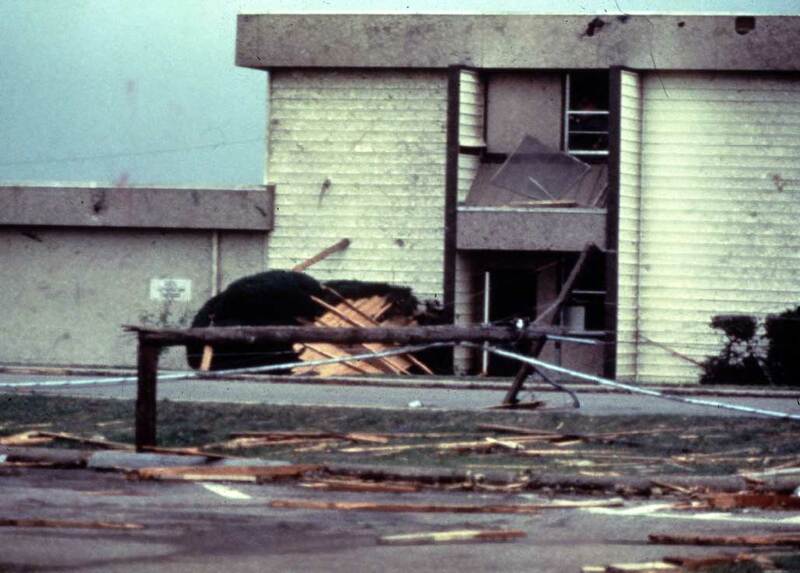 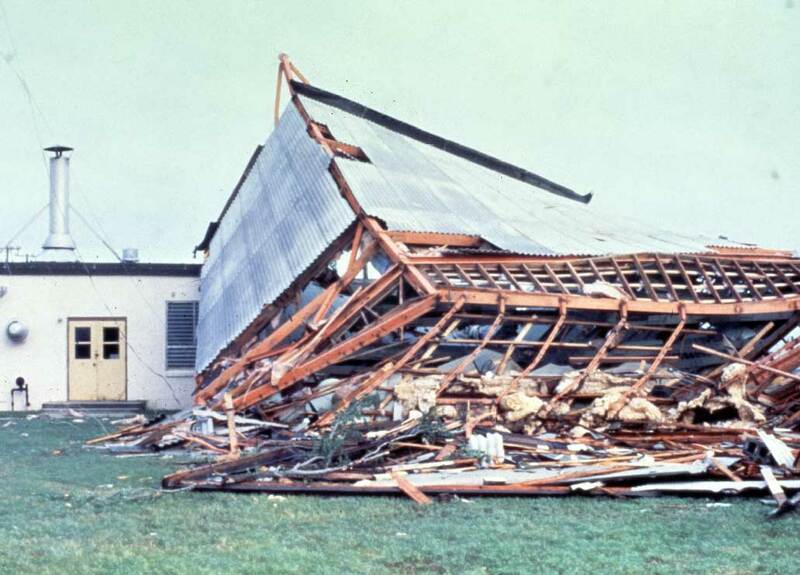 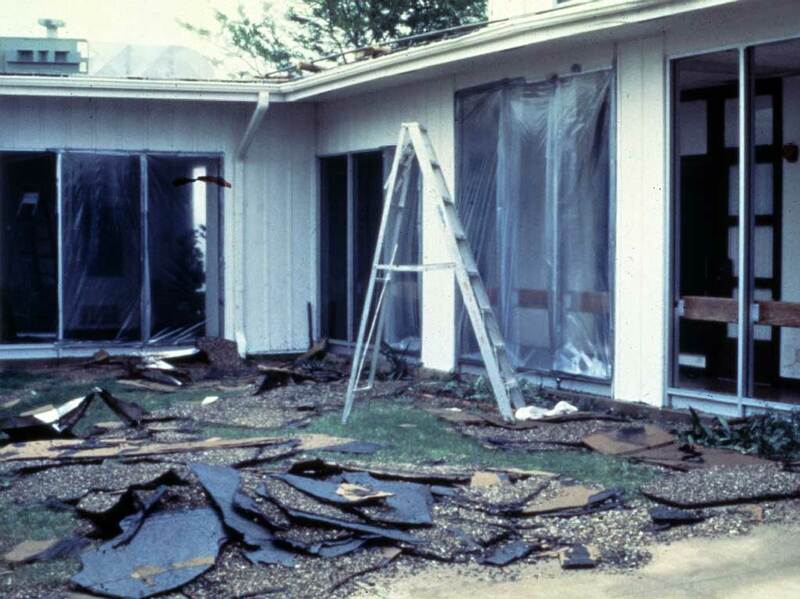 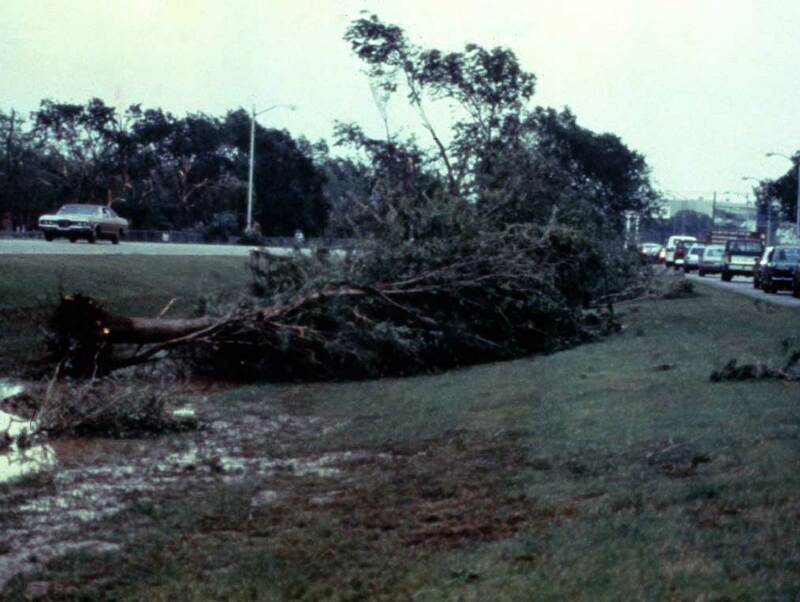 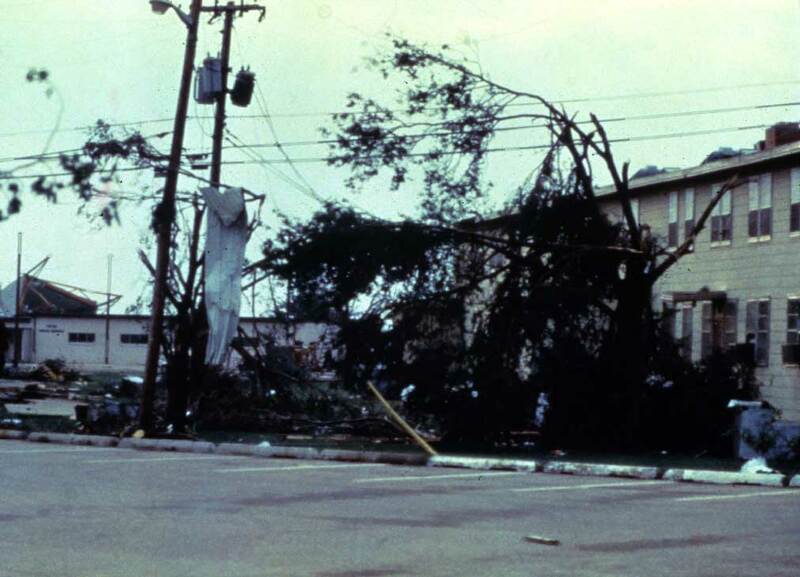 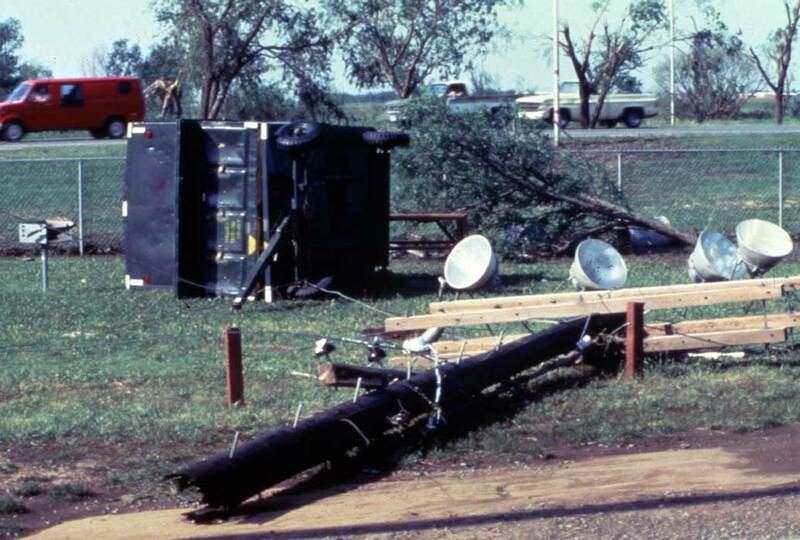 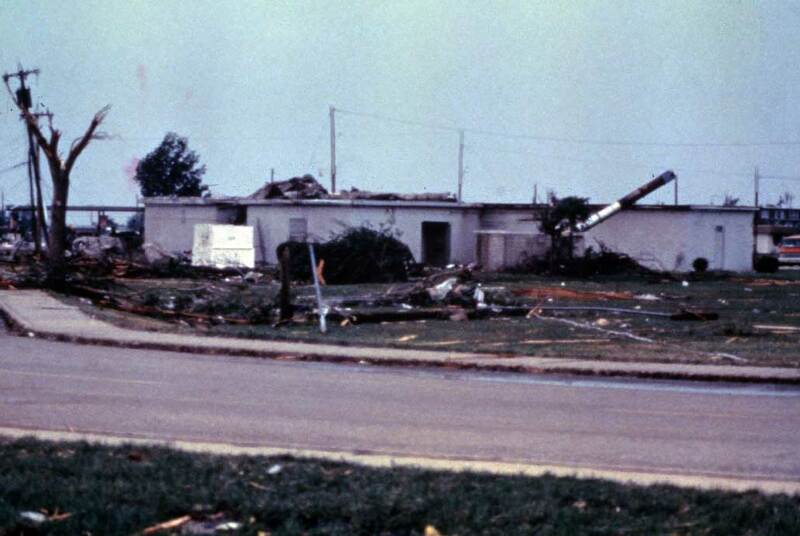 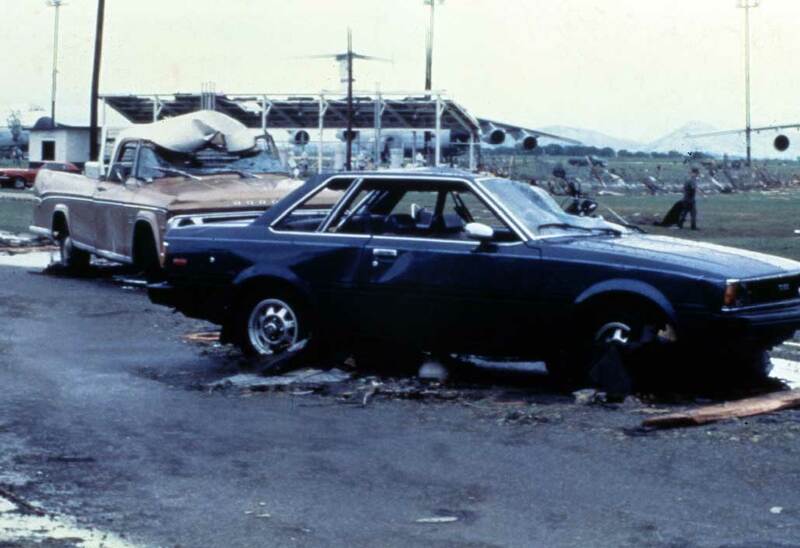 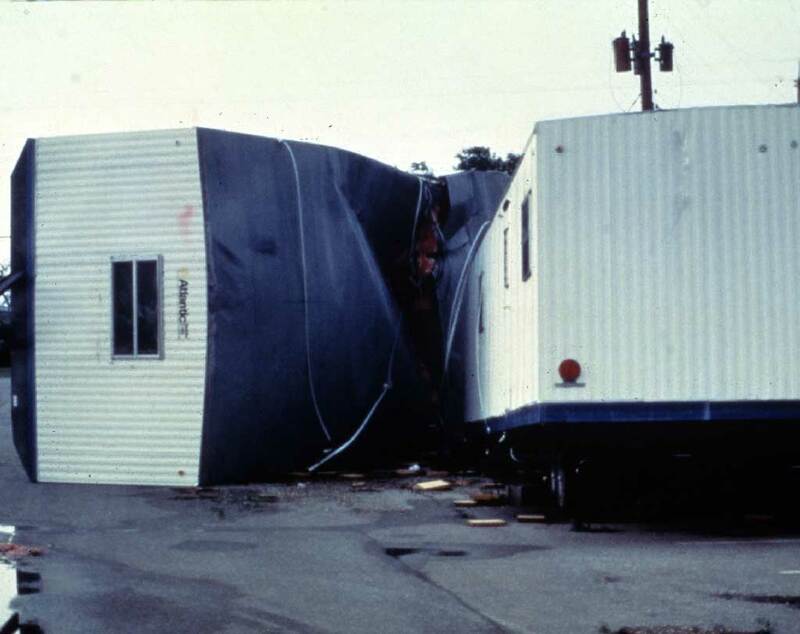 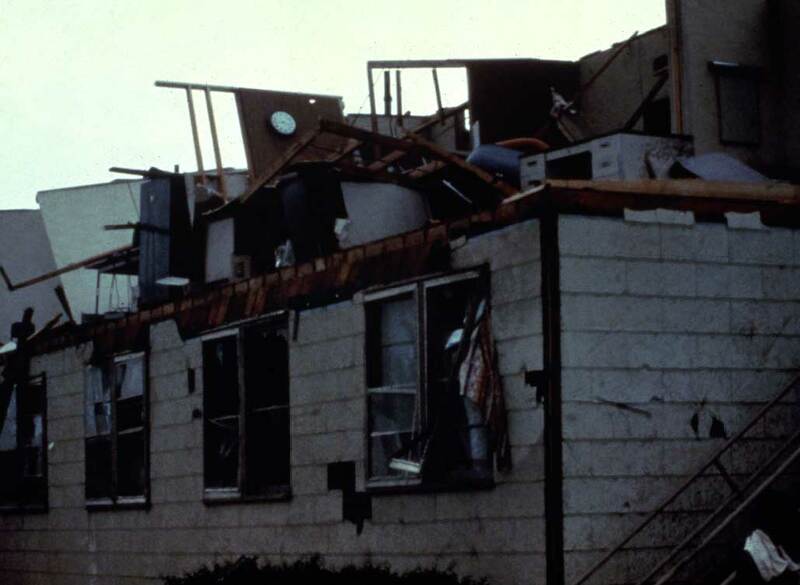 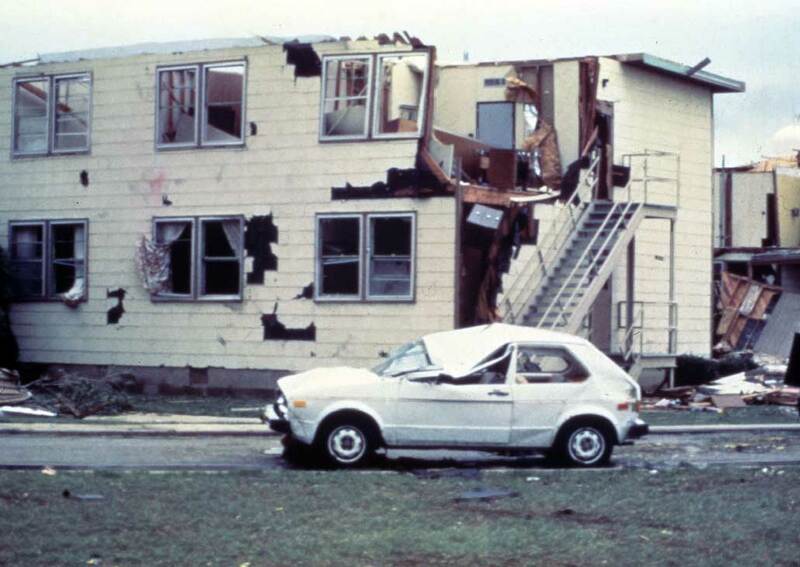 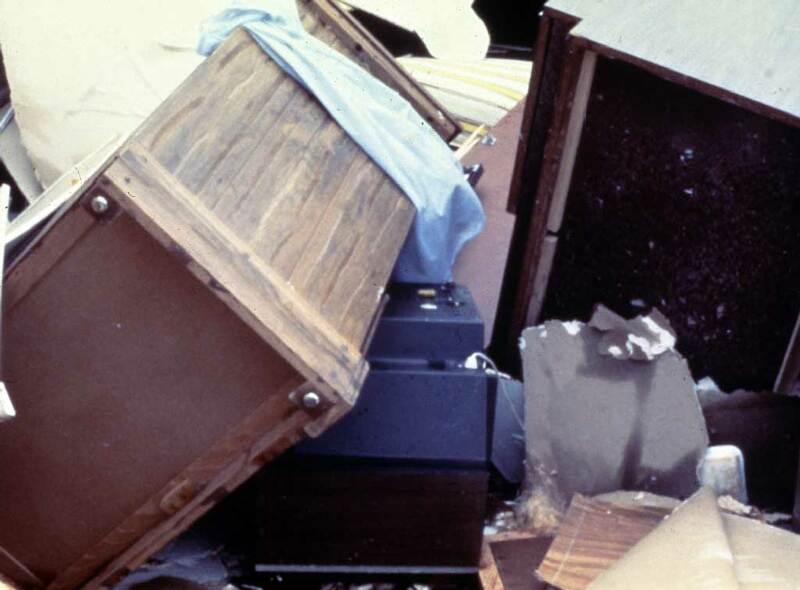 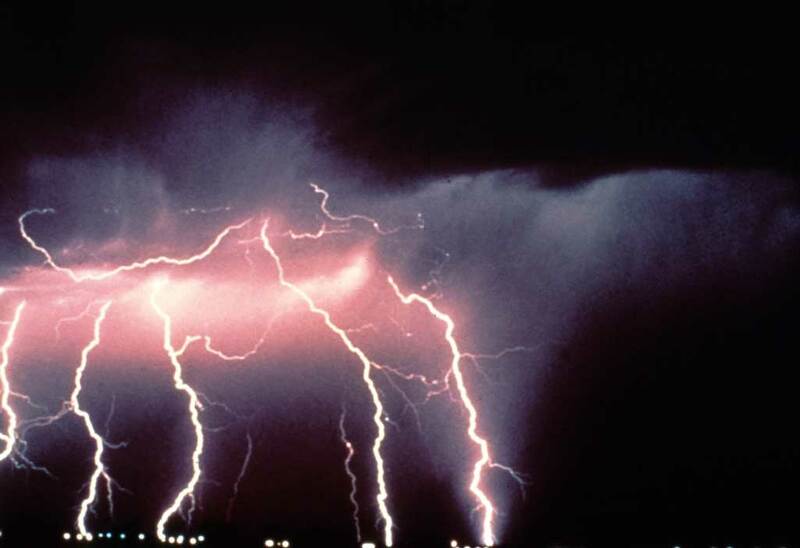 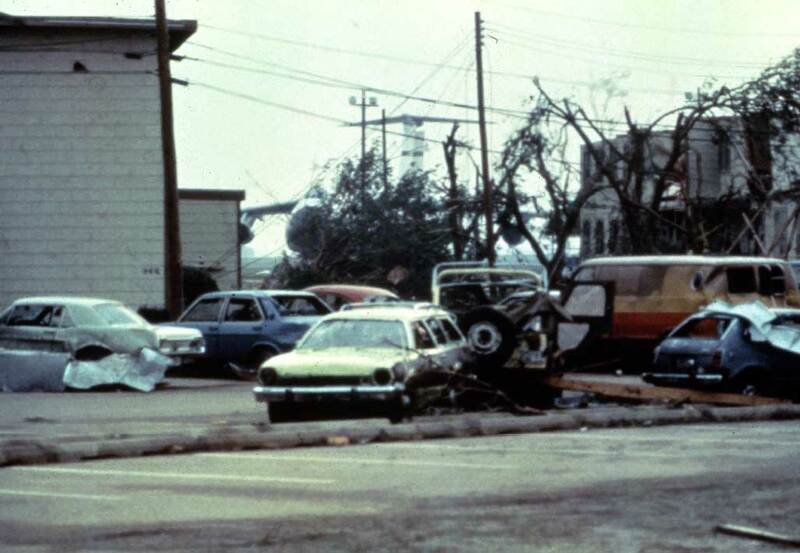 In May 1982, Altus suffered a catastrophic tornado event. 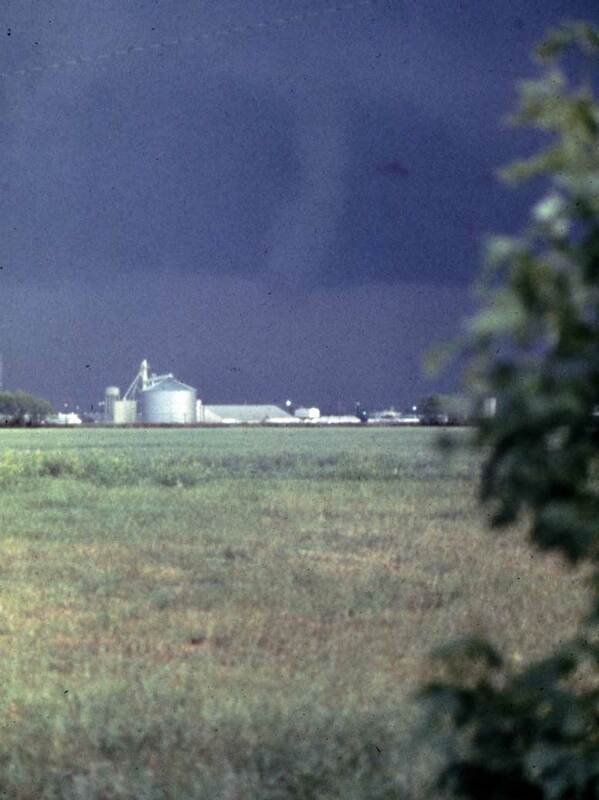 These photos show the tornado in progress. 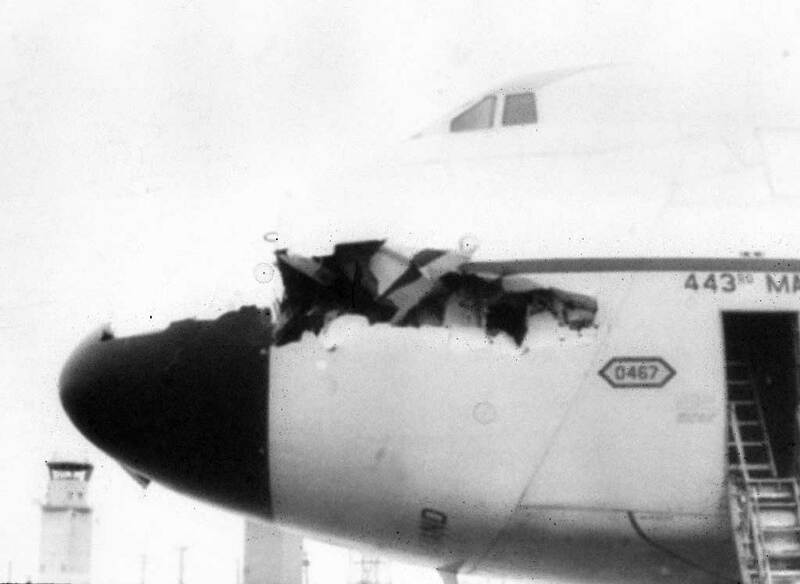 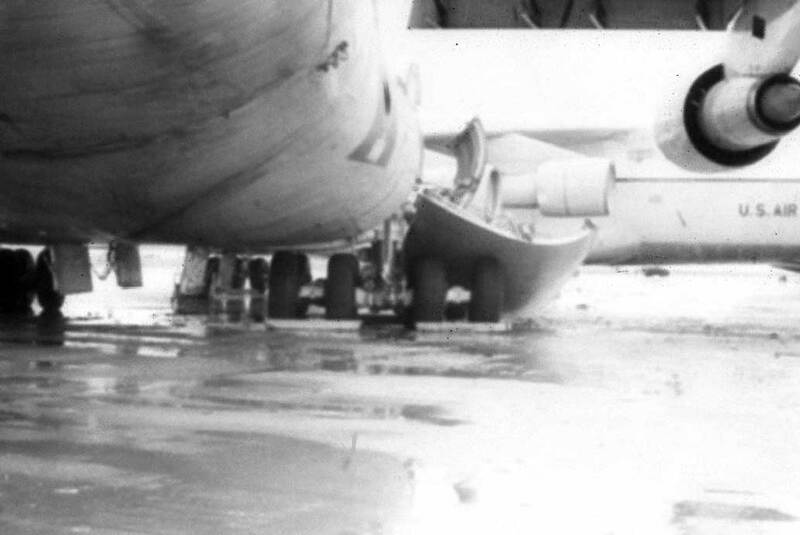 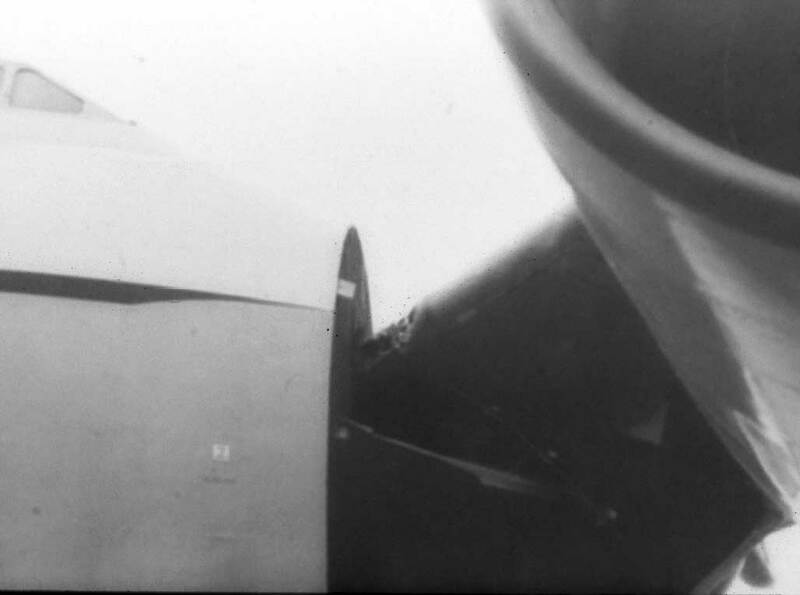 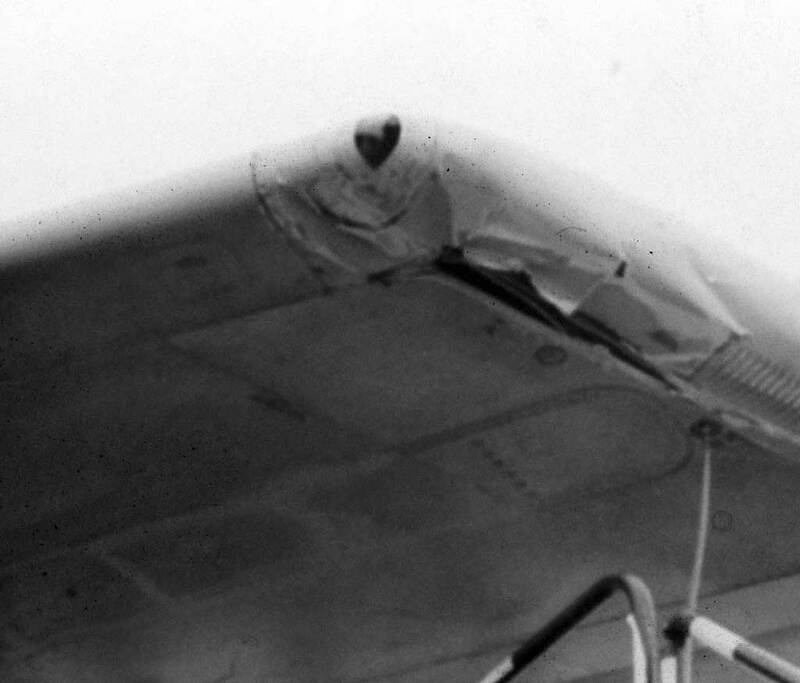 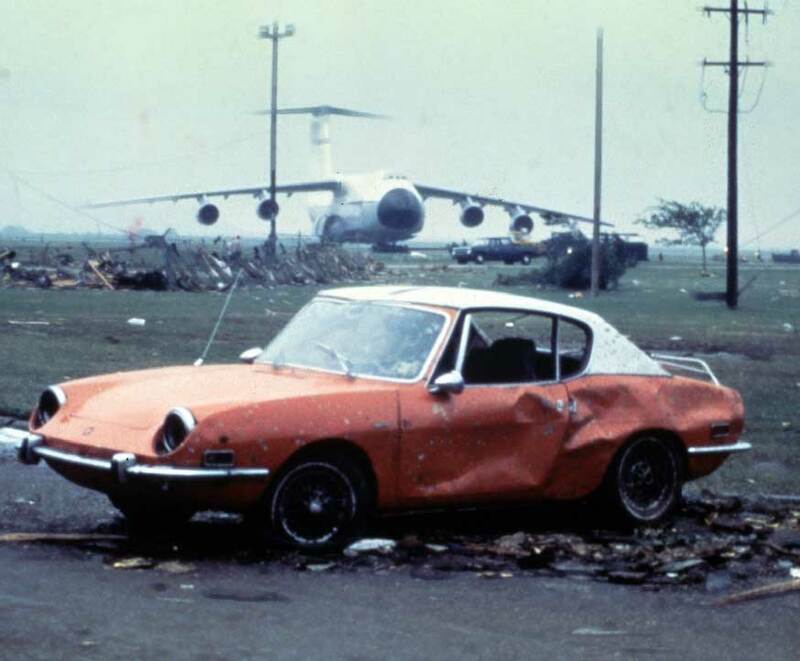 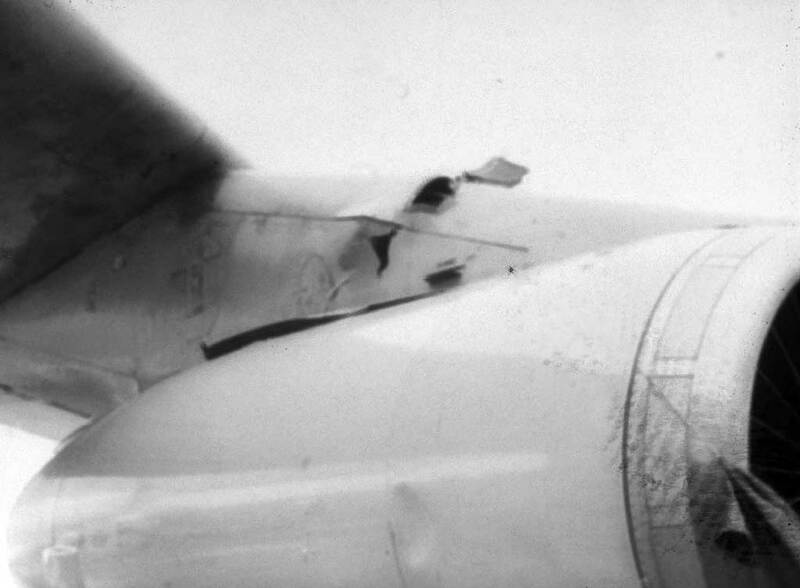 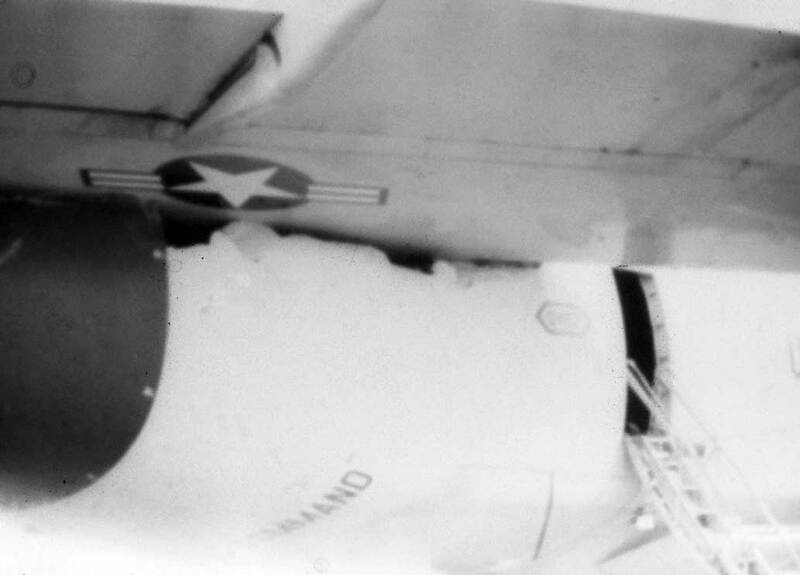 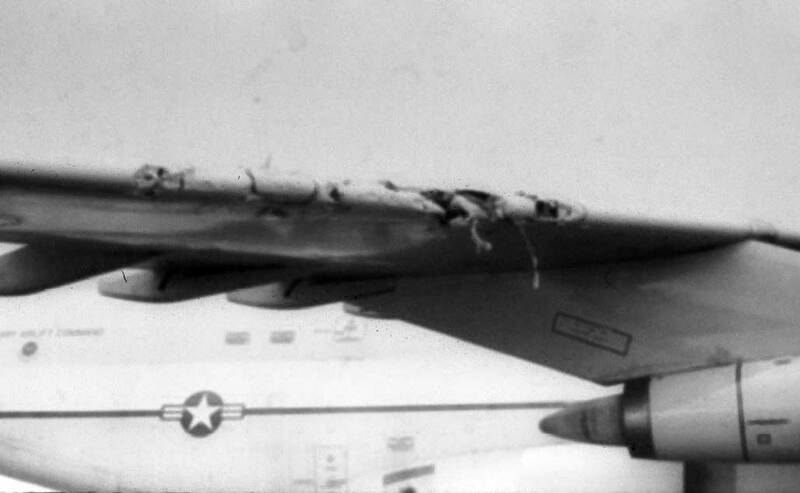 And of course, some aircraft were damaged as well. 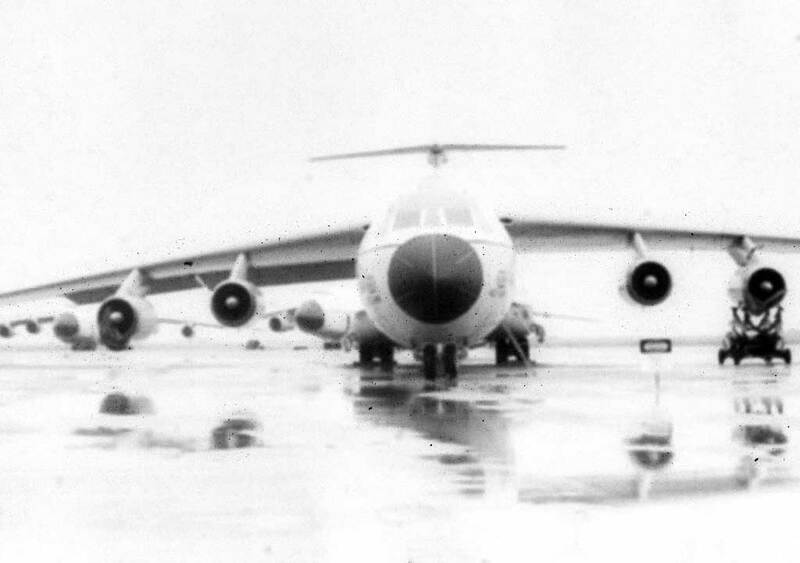 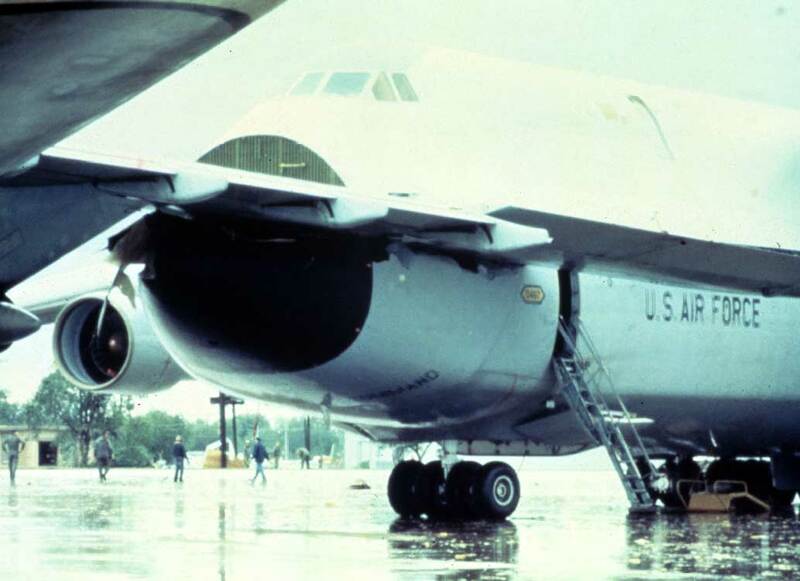 It's interesting to see these are mostly C-5's photos. 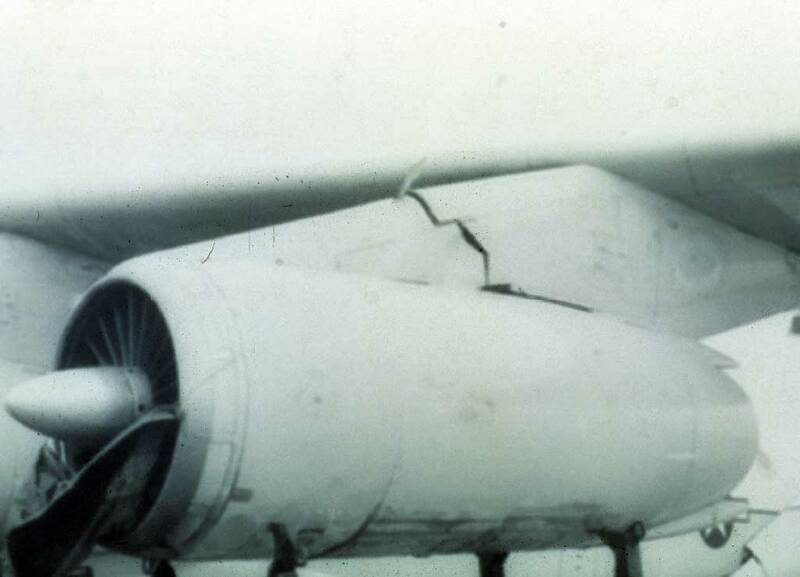 I'm guessing that they were not capable of flying away to safety for maintenance reasons.